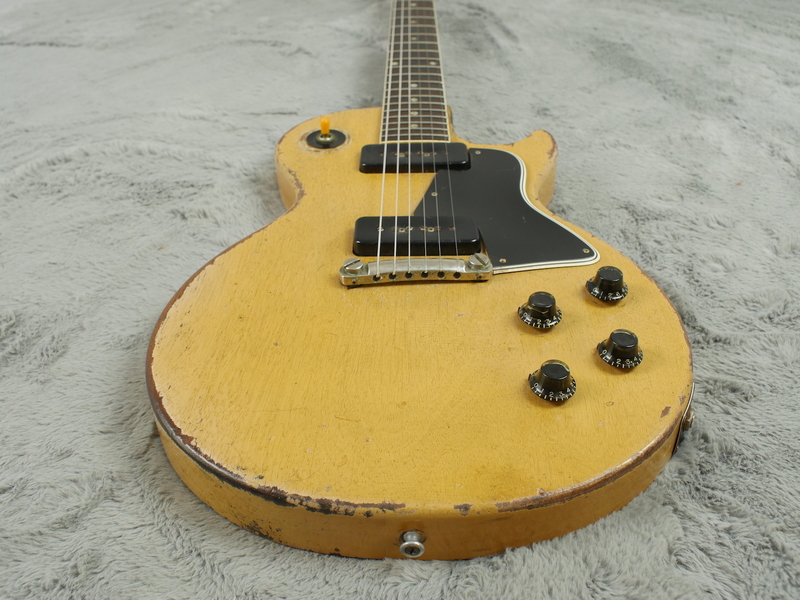 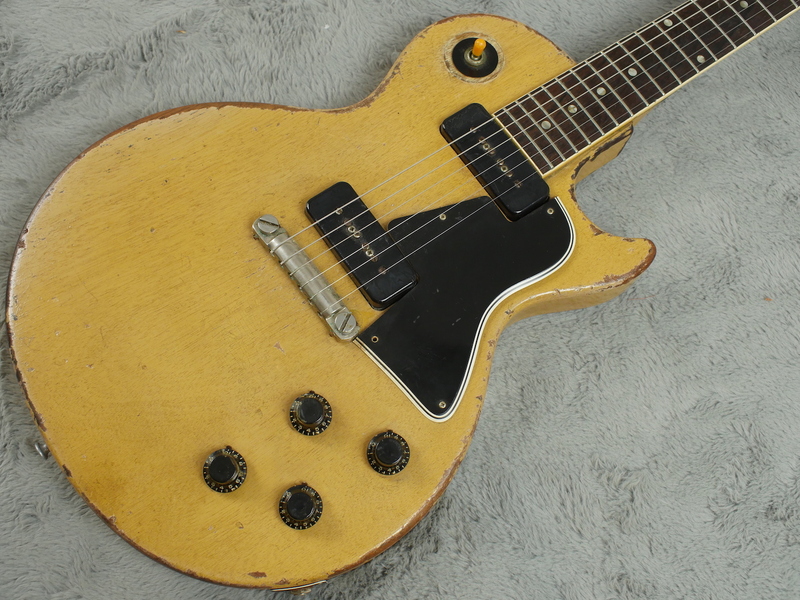 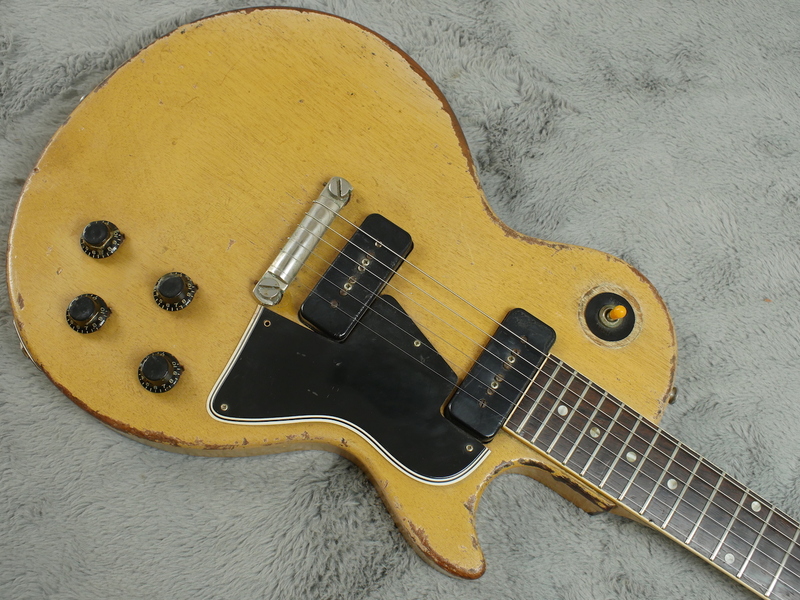 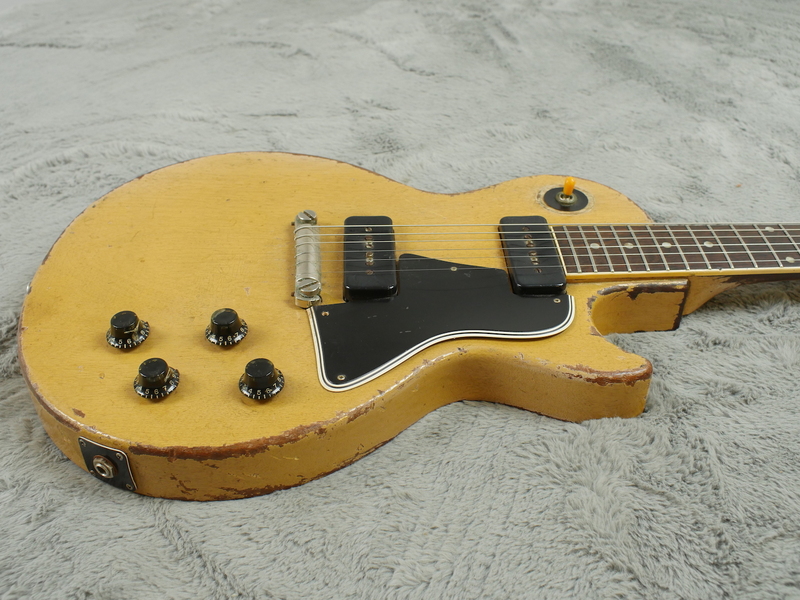 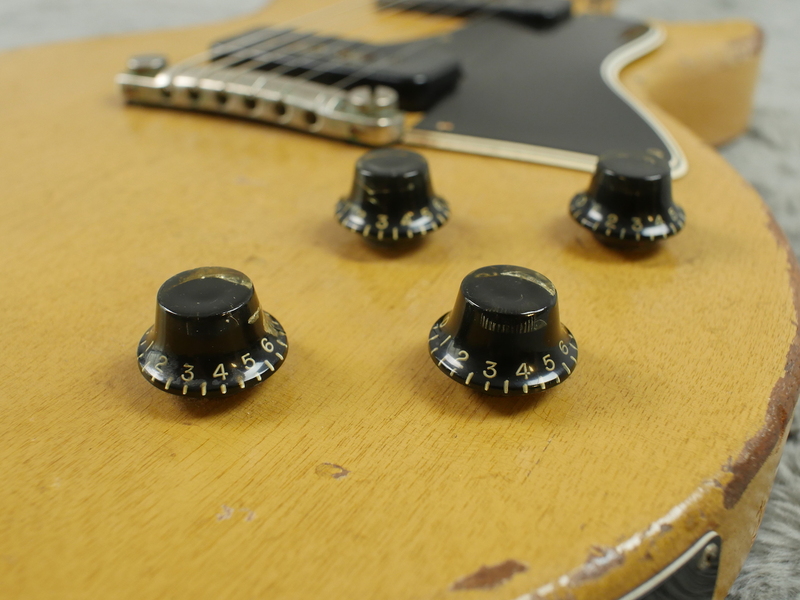 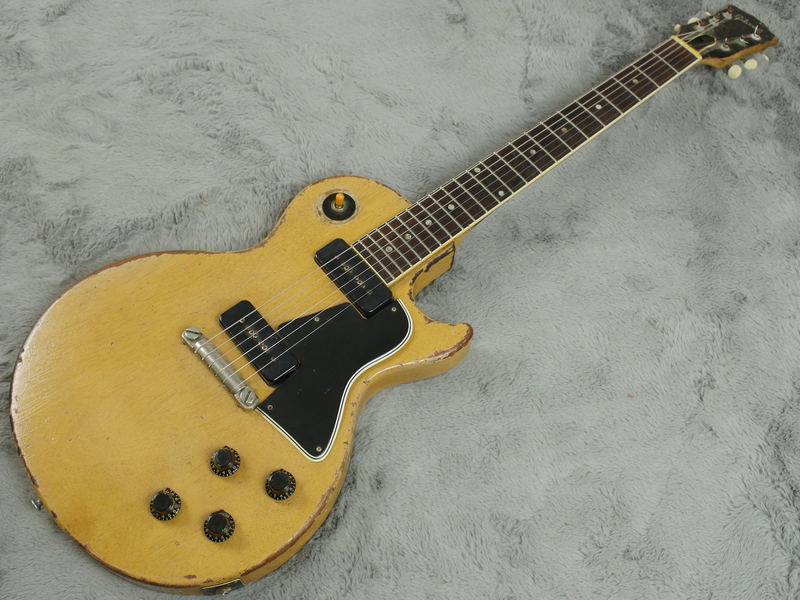 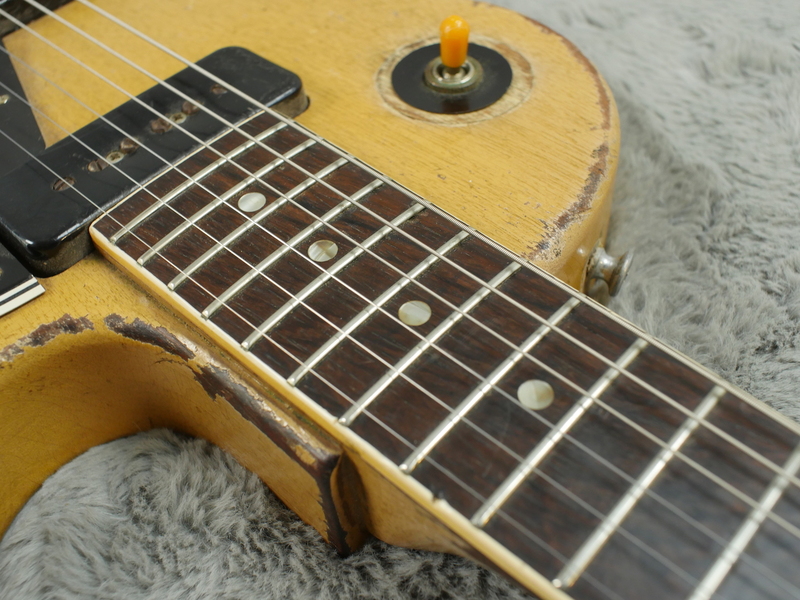 Oozing mojo, a too often used noun, it certainly describes accurately this fascinating 1956 Gibson Les Paul Special. 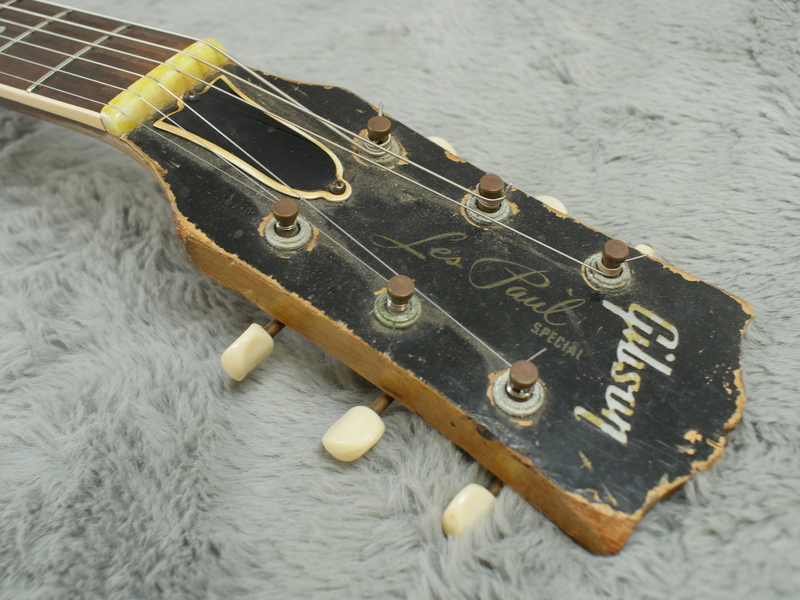 Far from museum piece, maybe closer to musicological artefact, this guitar has certainly seen its fair share of life. 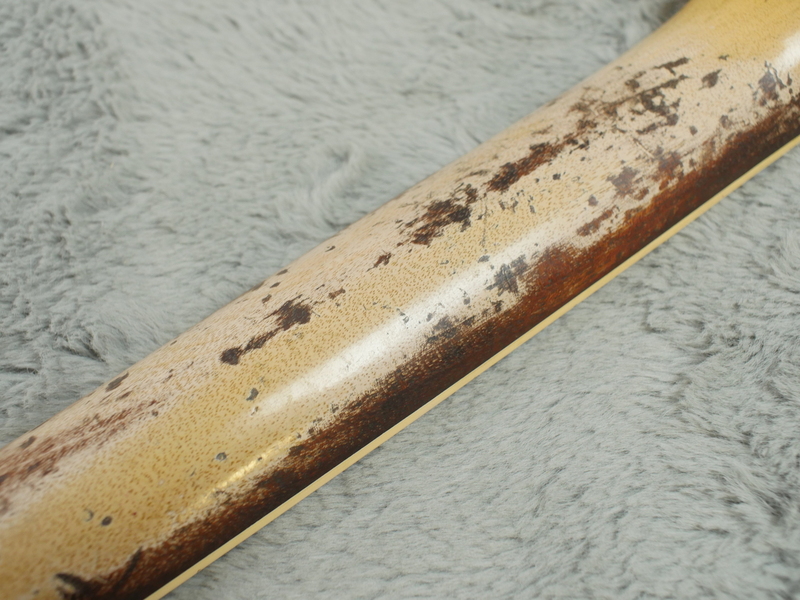 There is wear to the finish in all the right places, the even distribution on the neck alone reads like a road map of musical exploration. 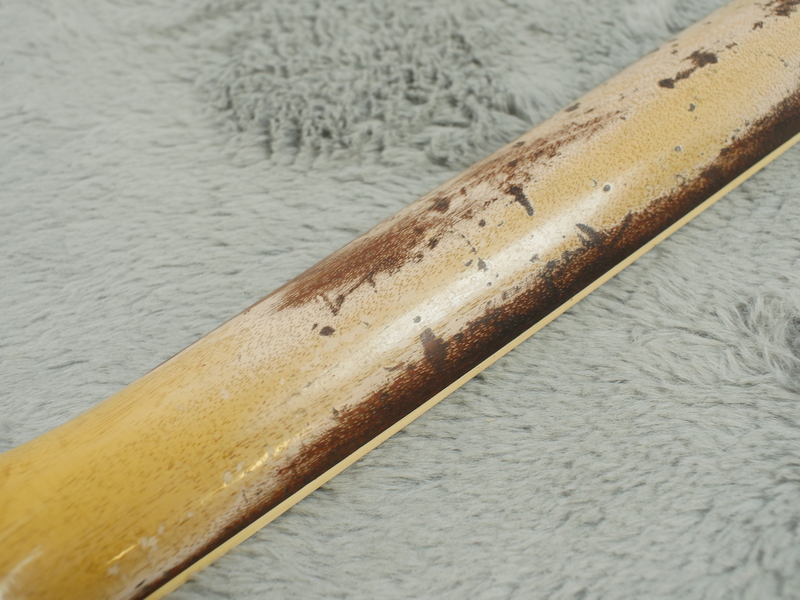 Where the finish has escaped disturbance it has retained the blonde meets yellow hue that characterises these earlier TV yellow finishes. 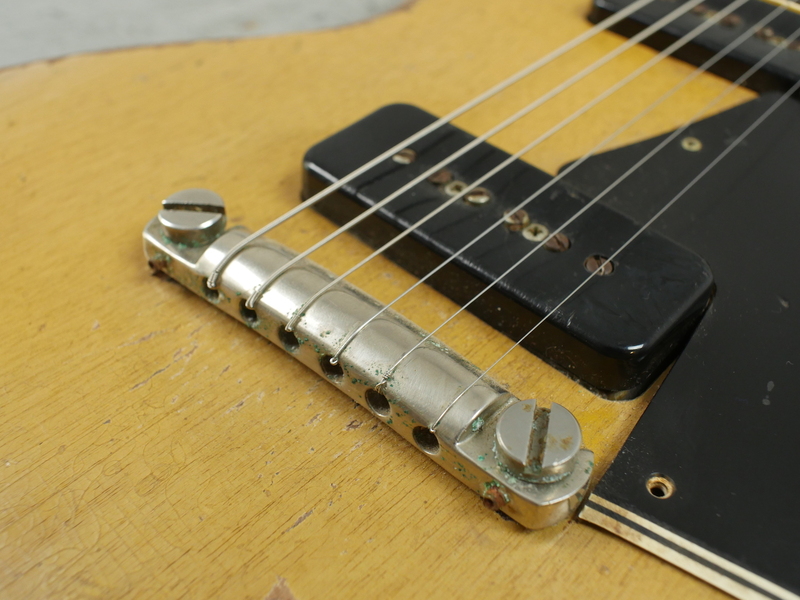 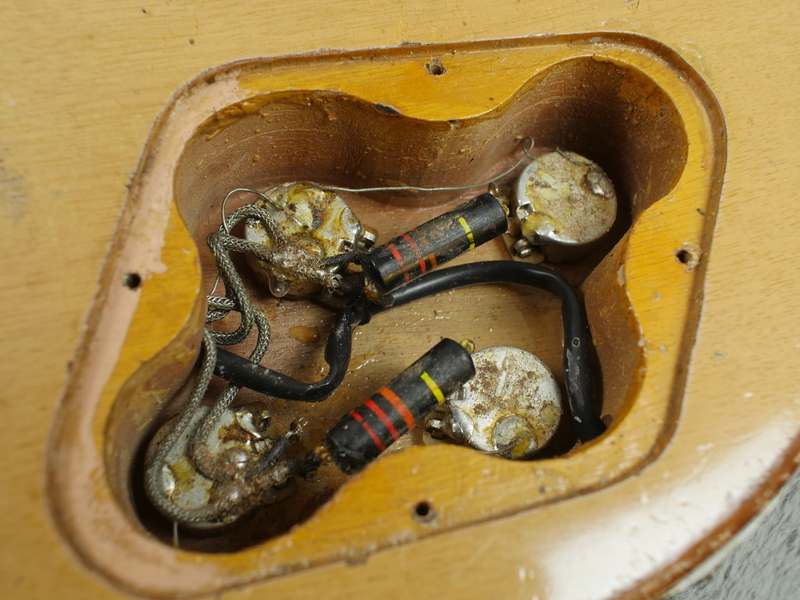 Aside from the wear, the guitar has also had some repairs carried out to the selector switch area and the tailpiece. 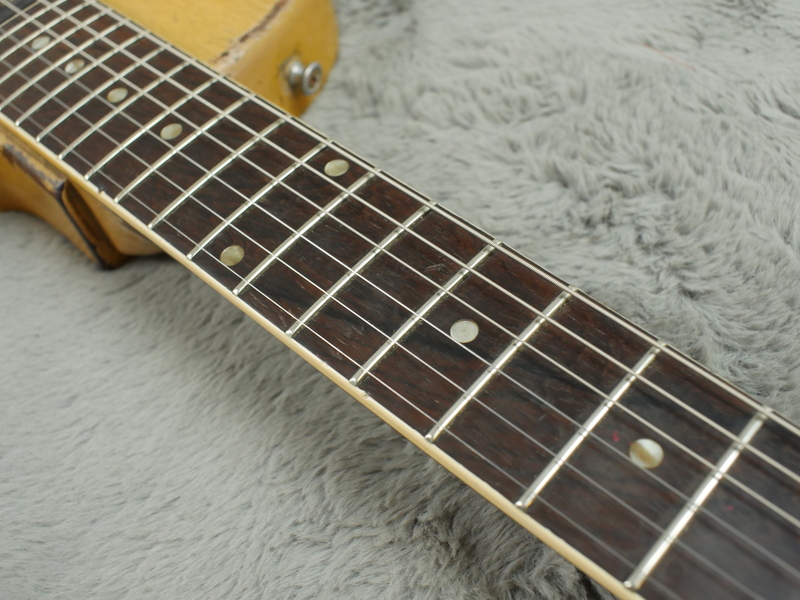 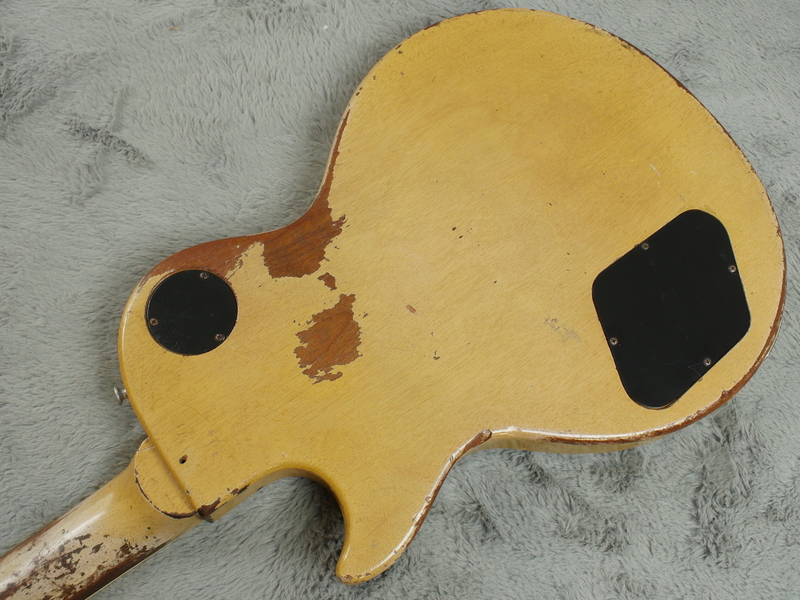 Often the thin wood section around the selector switch on these guitars do get damaged and in this case it was deemed necessary to replace the wood with a new piece of mahogany. 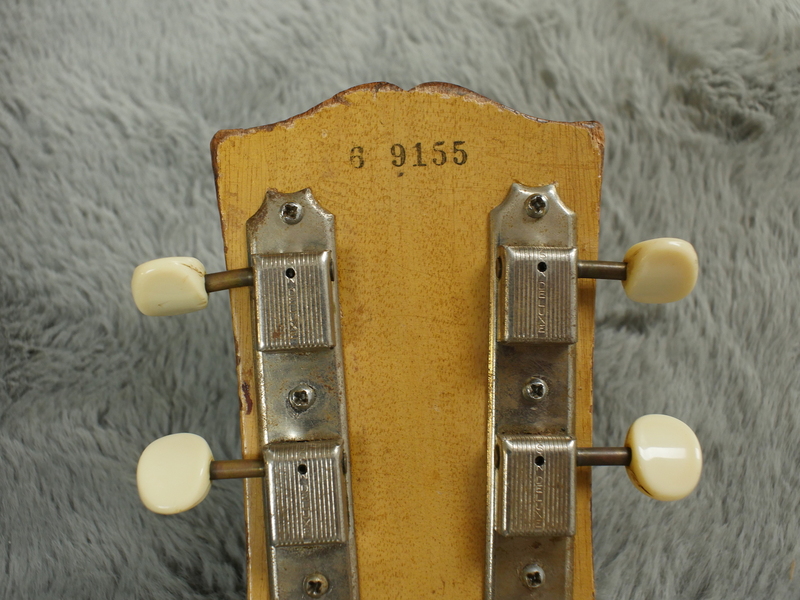 Additionally the tailpiece mounting stud has been moved slightly on thew treble side to improve the intonation. 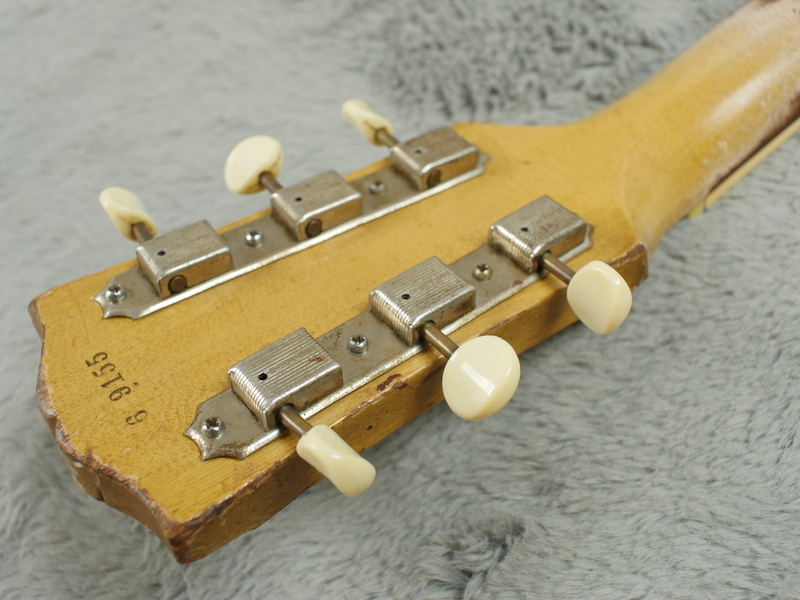 To further enhance this particular example as a very nice player, it has been refretted and has had a new nut. 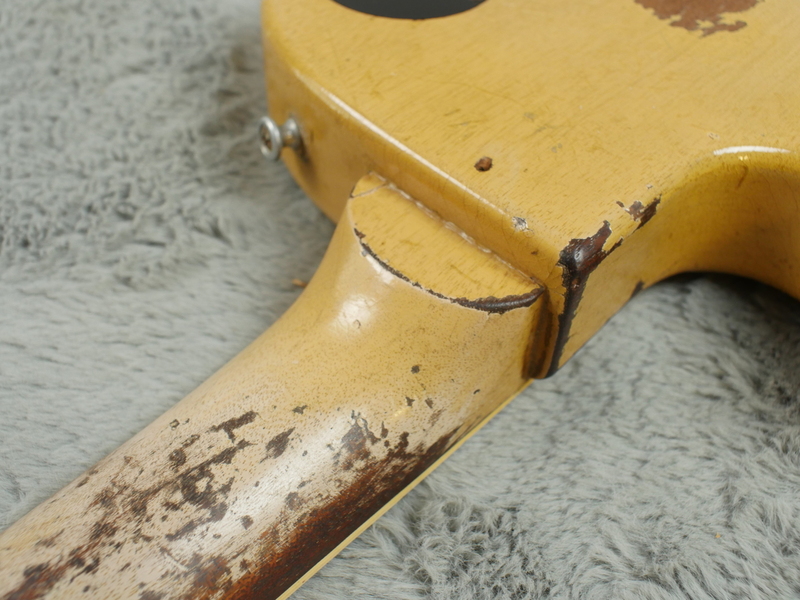 Elsewhere, the hardware and plastics on this guitar have survived well. 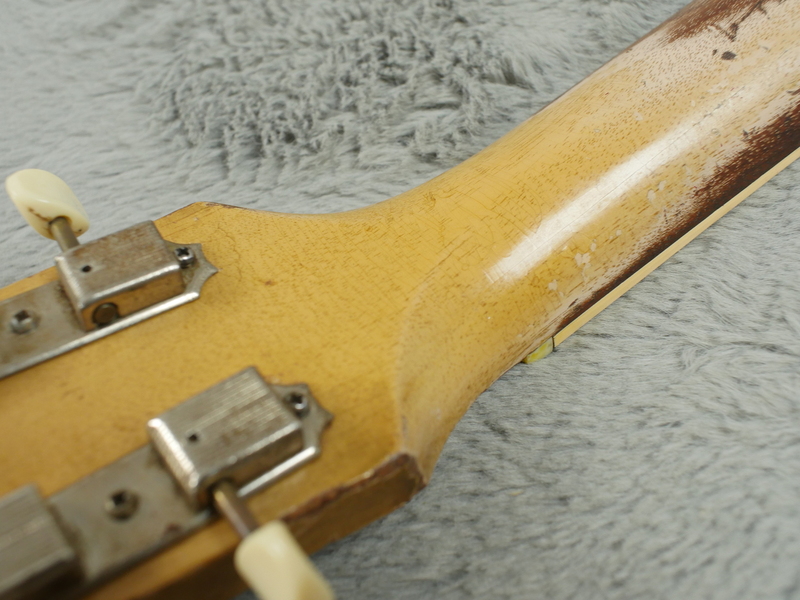 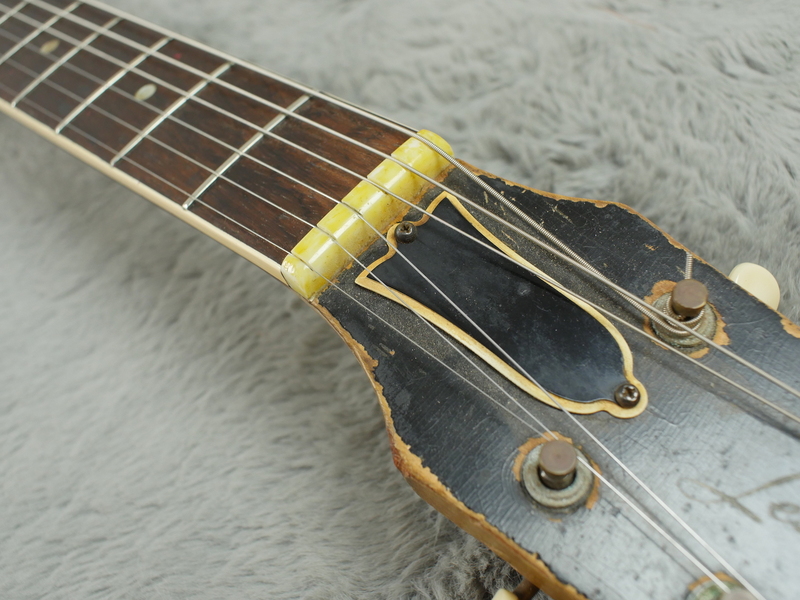 The tailpiece, which is an aged repro is in fine shape as is the pickguard. 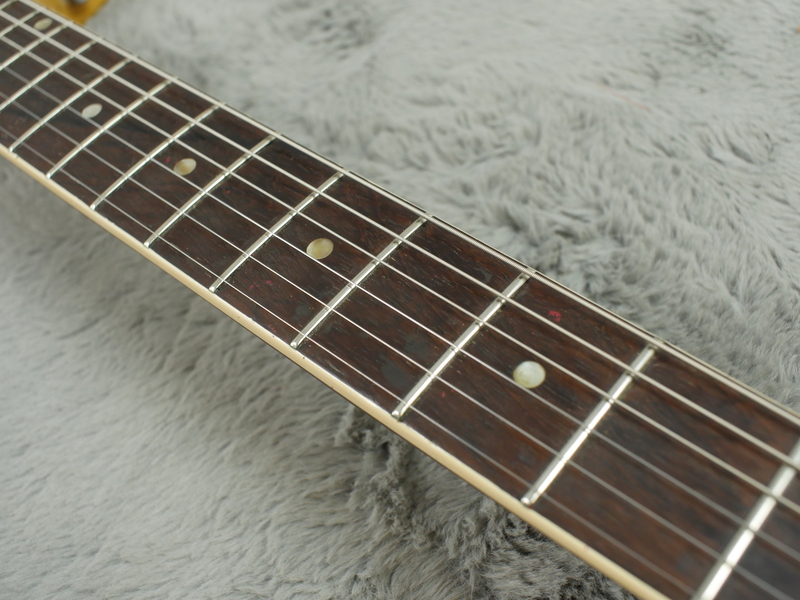 This guitar has a nice resonance and the chunky neck feels comfortable as you’d imagine. 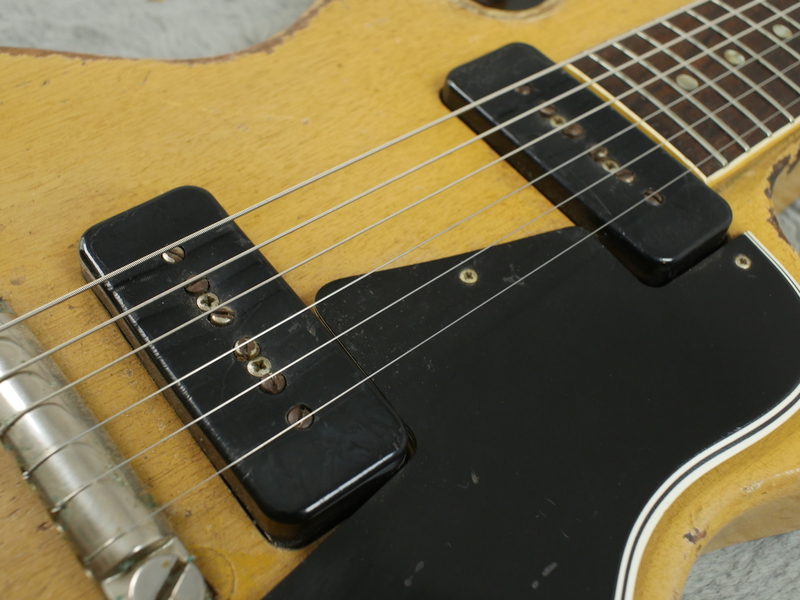 The real fun comes when plugged in as both p90s deliver a fantastic gnarly tone when full tilt, cleaning up nicely with the volume and tone controls. 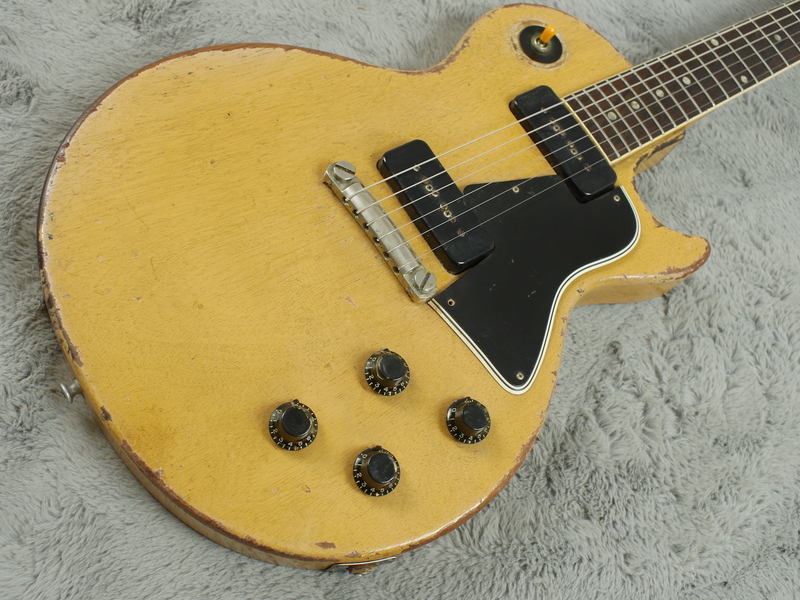 Gibson produced some brilliant pickups in the 1950s and this guitar is certainly blessed with a well matched pair. 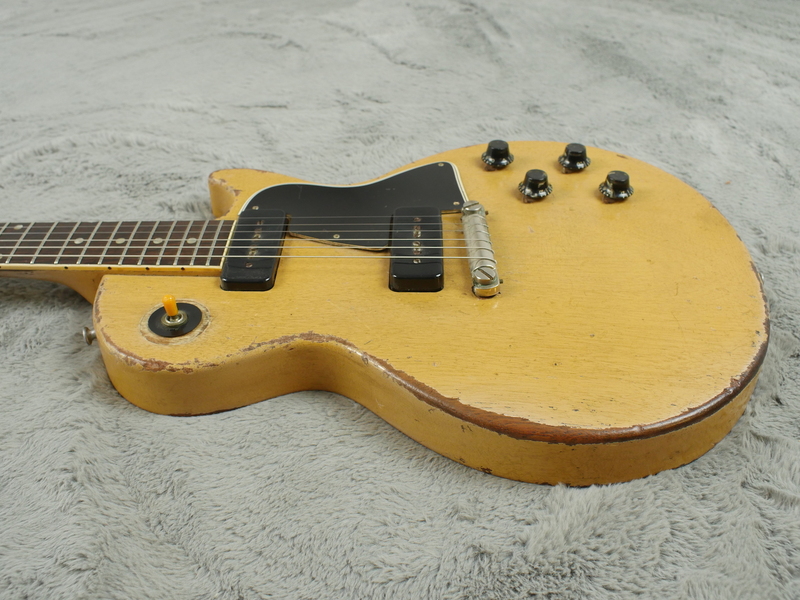 This guitar goes a long way to show that ‘student models’ of the 50s were certainly not just thrown together by the craftsmen of Kalamazoo. 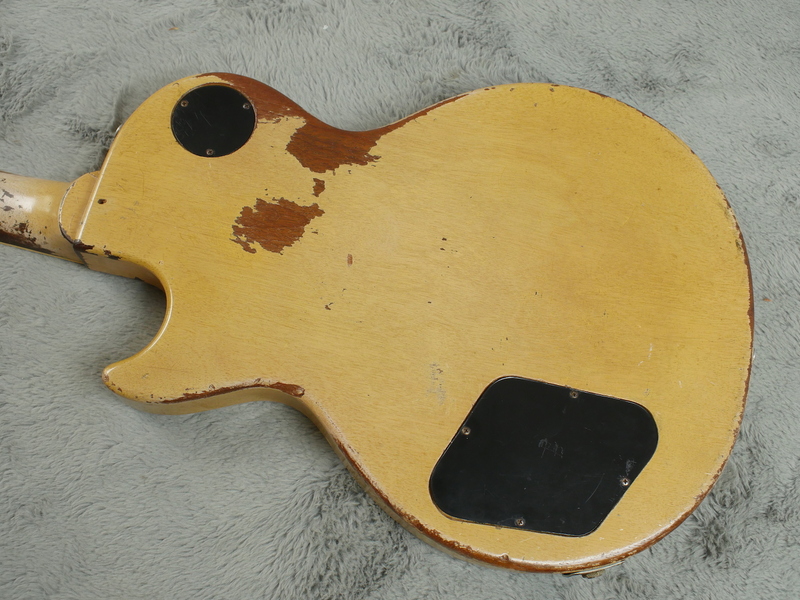 Sure, its had its fair share of trials and tribulations, but aside from the cosmetic quirks this guitar certainly has a monstrous tone and many more years of faithful service to give.